1998 truly was a legendary and innovative year for gaming. The Legend of Zelda: Ocarina of Time for the Nintendo 64 revolutionized 3D combat and exploration, becoming a game that would influence nearly every other bigger budget 3D game to come after it. Metal Gear Solid for the original Playstation set a new standard for storytelling within video games with its detailed and long cutscenes and engrossing story and characters. However, there was a third console still being supported at the time, albeit by the skin of its teeth. That would be Sega’s Saturn console, which, although it was released first among its peers, would trail far behind the success of its competitors until its death in late 1998. Few people knew that a highly revolutionary and quality RPG was released on the Saturn in 1998. A game that, if it had seen the attention of 1998’s other big name titles, would have shaped the face of RPGs as we know them. That game is Panzer Dragoon Saga (released on the Sega Saturn on January 29, 1998). The game was planned as Sega and Team Andromeda’s answer to Square Enix’s extremely successful and popular game Final Fantasy VII, but the Saturn’s failure in the market caused Sega to decide to give the game a much more limited release outside of Japan (making it very rare and expensive today). 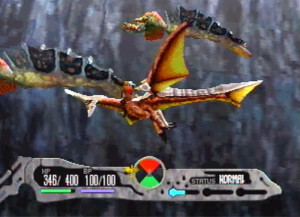 PDS continued the limited but promising story and world of the Panzer Dragoon series: a well-regarded series of very high quality on-rail shooter games. But instead of simply continuing the series with another on-rail shooter, Andromeda went all out with PDS. 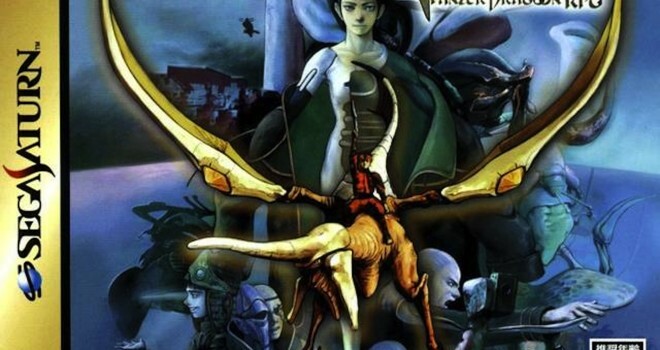 Panzer Dragoon was turned into an epic RPG spanning the length of 4-discs, for a game that was almost half as long as most other 4-disc RPGs of the era (ie. Final Fantasy IX). Many of the game’s very unique aspects such as: free flight with your dragon, thousands of different dragon types that you can choose on a whim, a very detailed yet rewarding mechanic based around your position compared to your enemies’, and many more- are ones that I really love and think should be looked at by more developers. 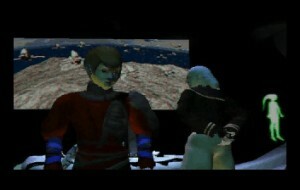 Panzer Dragoon Saga’s long and detailed FMV cutscenes still wow players to this day. PDS tells the story of Edge as he tries to get revenge on the man who killed his friends. He finds that he is put in charge of controlling a dragon, and that his destiny lies in finding more about the ancient civilization that came before his. Although the story is rather simple overall, it’s told in a series of lengthy and detailed FMV sequences which highlight the delightful characters and fantastical locations of the game. The cutscenes and story are only matched by the ones in FFIX as far as quality goes, and unlike PDS, those don’t have spoken dialogue. This along with the absolutely incredible soundtrack and graphics (for the Saturn) make PDS an absolute marvel. I’ll ever forget characters like the determined and strong-willed Edge, and the confused but powerful Azel. Along with memorable side characters like the strange but trustworthy mechanic Paet, and the mysterious but wise wanderer Gash. Not to mention, the intimidating villains like Craymen and absolutely insane Zastava. The most important part of almost any game is the gameplay, however, and PDS excels. The game has a fairly simple set up: you only ever control Edge and his dragon, there are only two basic forms of attack, the level up system is par for the course, and shops generally only sell very basic items. In my opinion, it actually makes the more complex and unique mechanics shine even more. Fights are fast paced and random battles are few enough to where you’ll never get tired of them. To succeed at any battle, you need to learn when to use either Edge’s gun or the dragon’s laser, how to manage the three action meters, and where to position yourself which adds a hugely enjoyable layer of strategy. The game also offers different stronger attacks called “berserks” which can help you in battle, but you have to always make sure you have enough points to use them. The battle system is like a masterfully written poem, masterful and nearly without fault as you battle gigantic beasts and machines in intense fights that you’ll remember for a long time. PDS’s battle system is perfect, beautifully crafted, and unlike anything else ever seen in video games to this day. The game also has a large focus on exploring it’s quite large locations. The player is often highly rewarded for finding hidden crevices and fighting difficult enemies. Enemy types are incredibly detailed and varied as there’s always something new to fight. I love the large focus on bosses, of which there are dozens. Every boss battle is exhilarating and challenging, and they range from gigantic mystical creatures to the huge flying machines of the Empire. Towns are also very detailed. Rarely in a 90s RPG would you see a fully realized 3D world with moving people and scenery and a day-to-night cycle. I also always found Edge’s connection with his dragon to feel very real. Another reason why the developers’ passion behind making the game is apparent. It’s almost impossible to describe how life-changing playing PDS can be for a gamer, regardless of how hard I tried in this review. To me, it’s pretty much a flawless experience. I feel bad not being able to give it a score higher than a 10/10. It changed the way I view video games and what they can accomplish. If you get any chance to play it, take it. You won’t regret it.